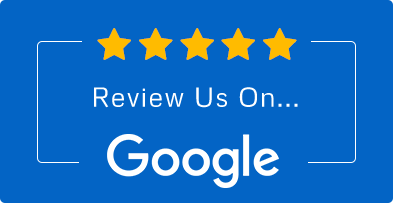 Please review our most current Testimonials on the Google search site. Search for Advanced Health Center, PC on Google and read the reviews. Dr. Angel Carrion is a very knowledgeable and skilled practitioner. He is truly concerned about the overall health and wellness of his patients. I have been treated by him for a number of years for various issues and have always been satisfied with the outcome of his treatments. The office personnel are always courteous and cooperative. I can unequivocably recommend Advanced Health Center PC. wonderful as always...felt great when I left! Always a positive experience. I receive excelelnt care which is why I bring my entire family. Today was my first visit Dr.. Angel explained to me the issues and why I was even in pain, he did the back scan and I was amazed to see what was happening.. Even with just this one visit and adjustment today, I am feeling so much better.. I had gone to a Chiropactor before for yrs, and finding a new one I was very concerned, but what a relief to find someone as concerned and caring as Dr Angel Carrion and the receptionist ( joanne) was a pleasure. excellent as always, felt better when I left. I love the peppermint oil, makes my sore back feel soooo much better!! I've struggled with back pain for many years and have gotten relief with Lisa and Angel. They have worked with me to pinpoint my issues and have helped to reduce the pain in my back and legs. I highly recommend them! Dr. Lisa's adjustments always hold. I needed relief from shooting pain down my right leg, and she identified that the muscles were tight. Here I am 3 days later and there still is no pain. I had relief as soon as I got off the table and even with lifting furniture this weekend, the adjustments have held very well. I was treated for sciatica by Dr. Angel Carrion, and he did an amazing job! I had never been to a chiropractor before, but I can imagine they're not nearly as good as he was. He explained everything to me in full detail about my muscles and joints, and the healing process, and gave me good information for after I left. I highly recommend this office! We are here to help everyone who suffers with pain or is looking for a paradigm shift in reference to their perception of health. Thank you for your kind words. Dr. Carrion.